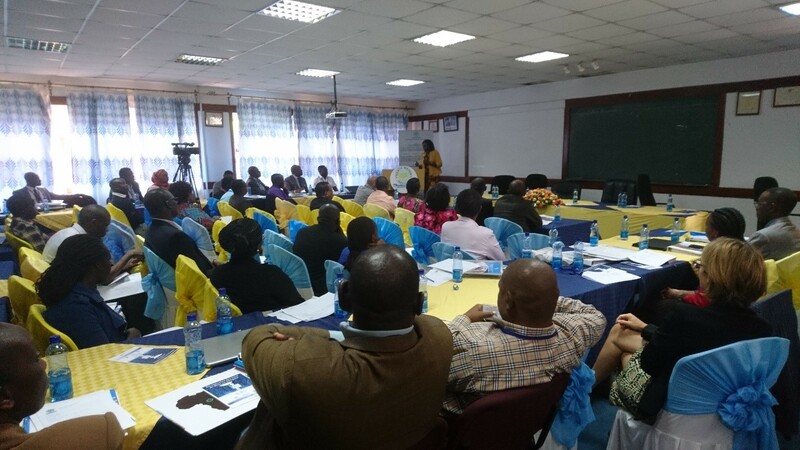 Regional Centre for Groundwater Resources Education, Training and Research in East Africa (RCGW) in partnership with UNESCO-IHP, IGRAC, BGR and KEWI organised a regional training programme on Integrating Groundwater Management within River Basins. The training was held from 15-17 January in Nairobi, Kenya. The main objectives of the training were to introduce participants to various aspects of groundwater in the IWRM context and to foster regional collaboration and knowledge exchange. IGRAC and RCGW signed a Memorandum of Understanding, formalizing a cooperation between two UNESCO centres. The training was kindly hosted by the Kenya Water Institute (KEWI) which also hosts the UNESCO Regional Centre for Groundwater Resources Education, Training and Research in East Africa (RCGW). The training course was based on the Manual on Integrating Groundwater in River Basin Organizations developed several years ago in cooperation of several partners including Africa Groundwater Network (AGWNET), BGR and IGRAC. About 50 participants attended the training, with various educational background and experience. Despite this diversity, the training was evaluated very highly among participants (the score 8-10). During the closing ceremony of the training, IGRAC and RCGW signed the Memorandum of Understanding (MoU), paving the way to more intensive cooperation. Both centres are UNESCO groundwater centres, IGRAC at the global level and RCGW concentrating at the Eastern Africa. IGRAC can be instrumental by bringing global experience in the region, whereas RCGW can contribute to global assessment of groundwater resources providing a regional input. 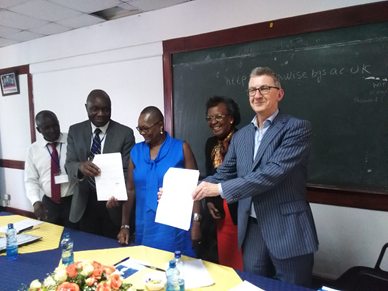 The MoU was signed by Mr. John Nyakwaka (RCGW) and Dr. Neno Kukuric (IGRAC).